Our response to the mass violence in South Sudan depends on whether we consider it to be “criminal” or “political”. Criminal violence is the action of individual perpetrators, to which the appropriate response is to judge and punish. But political violence raises more difficult questions – not just that of identifying perpetrators and victims, but of addressing issues around which constituencies are mobilised. There are two major examples of secession in post-colonial Africa: Eritrea and South Sudan. Eritrean independence followed a military victory against the regime in Addis Ababa, but there was no military victory in South Sudan. Former US secretary of state Madeleine Albright’s decision to back the Sudan People’s Liberation Movement against Khartoum in 1997 was a child of Washington’s war on terror. Two factors led the ruling National Congress Party (NCP) in Khartoum to agree to a referendum followed by secession of half the country: a reasonable fear that it could be the next target of post-9/11 US aggression, after Afghanistan and Iraq, and the conviction of ideological Islamists that the secession of a predominantly non-Muslim south was sure to tighten their grip on power in the north. The Comprehensive Peace Agreement (CPA), signed in 2005, granted the south autonomy in preparation for independence in 2011. In spite of opposition from some regional states, the short five-year timetable was rushed to the table by a troika of Western states – the US, the UK and Norway – once it was clear that Washington’s interest in the Sudanese civil war had forced Khartoum into the defensive. The CPA’s underlying assumption was that only those with the capacity to wage war had the right to determine the terms of the peace. The ruling Sudan People’s Liberation Army (SPLA), both an army and a movement, emerged in charge of South Sudan as a precocious double of the entrenched NCP. The CPA perpetuated the worst legacies of the liberation war, including the SPLA’s refusal to countenance internal reform, and sowed the seeds of the present crisis. It basked in the immunity the world now grants to victim cultures: the south had been terrorised, starved, bombed and brutalised, so it followed, as it did for post-genocide Rwanda, that whatever happened next, the victims in charge of their own destiny must be coddled and absolved of responsibility. The relationship of the SPLA to other political forces in South Sudan underwent a sea change after the 2011 referendum. The All-South Sudan Political Parties Conference, held the previous year, had ended with a call for a constitutional conference, an election in two years, and a transitional government of national unity. But after the referendum, the SPLA revised the constitution and gave itself the right to rule until 2015. The five-year transition was shepherded by the UN Mission in the Republic of South Sudan (UNMISS). Asked by the African Union commission of inquiry to define her mandate, Norwegian minister Hilde Johnson summed it up as “state-building and nation-building”. This was a claim taller than would be made by any colonial governor. No wonder South Sudan turned into an international dependency. The 2005 agreement is not comparable to the prototype Lancaster House conference, which prepared the ground for the independence of many a British colony, including Nigeria and Kenya. The CPA aborted the possibility of a nonmilitary opposition and prepared South Sudan for military rule. Rather than a failed state, South Sudan was a failed transition. 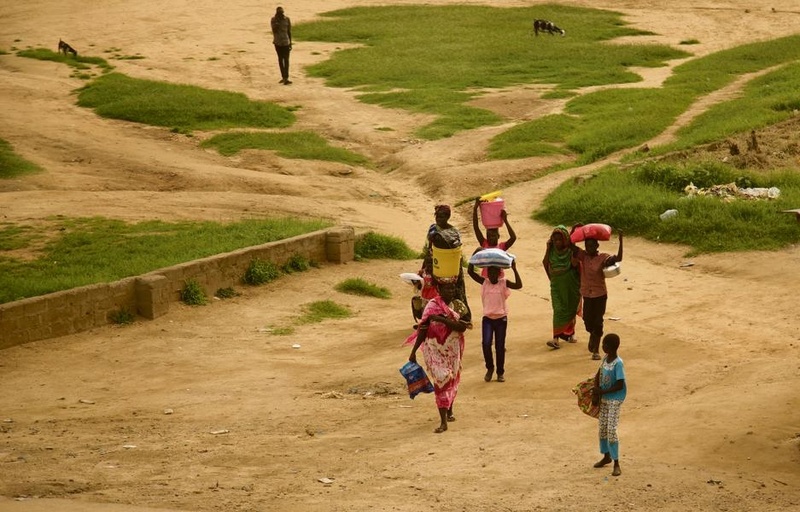 The problem in South Sudan did not spring from society. Its genesis lay in the proto-state, created in hothouse fashion in the throes of the “war on terror” by the troika. Who should be held responsible politically for the extreme violence that has destroyed the lives of hundreds of thousands in South Sudan since December 2013? Two groups, above all. First, the troika of Western states, and its friends such as Intergovernmental Authority on Development, for its decisive role in framing an agreement that set up a politically unchallenged armed power in South Sudan. UNMISS had 7 000 troops in South Sudan in December 2013. Under the political leadership of Johnson, UNMISS decided to open its gates to civilians fleeing the slaughter, but did nothing to stop the ongoing slaughter. What, if anything, had the UN learnt from the Rwanda genocide? Or from the Srebrenica massacre in Bosnia? The second group politically responsible for the violence that unfolded in December 2013, is the pre-July 2013 Cabinet of the government of South Sudan. These same forces patched together another makeshift agreement to stop this round of fighting in South Sudan, calling for a coalition government between the warring sides, a demilitarised Juba; and a hybrid court to try alleged perpetrators. The presumption was that those in power would offer themselves up for a criminal trial. An alternative way forward would recognise that the CPA had fed the worst antireform tendencies in the SPLA and turned it into a breeding ground for the violence that erupted in December 2013, and again this week. South Sudan needs a second transition. Instead of giving political power to those with guns, it needs to combine political justice with political reform. Key to political justice will be the exclusion from high office of all those politically accountable for the mass violence that followed the crisis of December 15 2013. Key to political reform will be the reform of militias at the local level alongside creating self-governing democratic communities. The challenge in forging this transition is political. Is it possible to put together a political authority with the credibility, the vision and the experience for a task that combines, frankly, tutelage of one’s peers with a democratic project? For this, I suggest a hybrid political authority backed up by resources from the troika and other members of the international community, but led by an African team – the most likely being the AU’s High Level Panel on Sudan (both north and south), chaired by former president Thabo Mbeki. Mamdani was a member of the five-person African Union Commission of Inquiry into Violence in South Sudan. He is director of Makerere Institute of Social Research, Kampala, and Herbert Lehman professor of government at Columbia University, New York City.